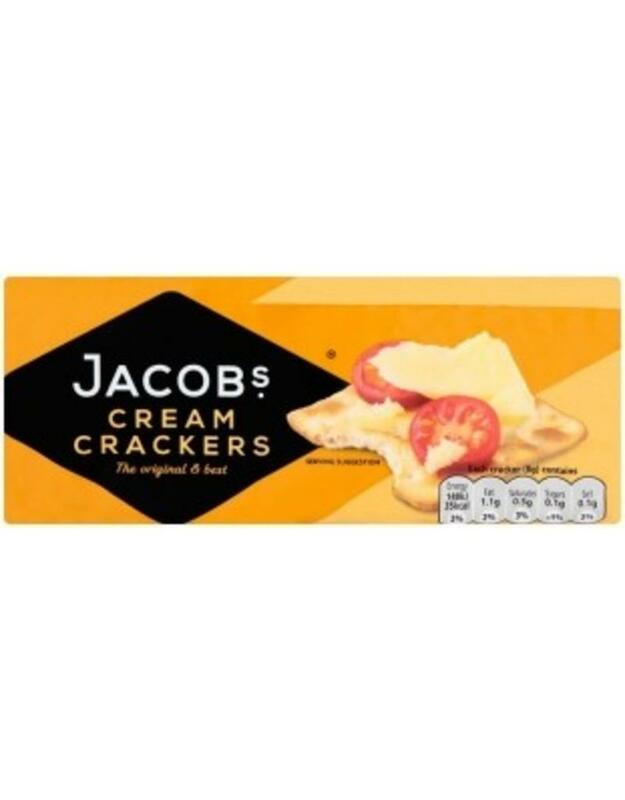 Baked with only the finest wheat flour and yeast, Jacobs Cream Crackers are based on the traditional method established by George Jacob over a century ago. This light and flaky layered cracker has been a much loved family favorite since its first introduction. Freshly packed for maximum taste and crispness, they are extremely versatile and can be enjoyed with any of your favorite toppings, savory or sweet!